Kit UTG 11 speed. 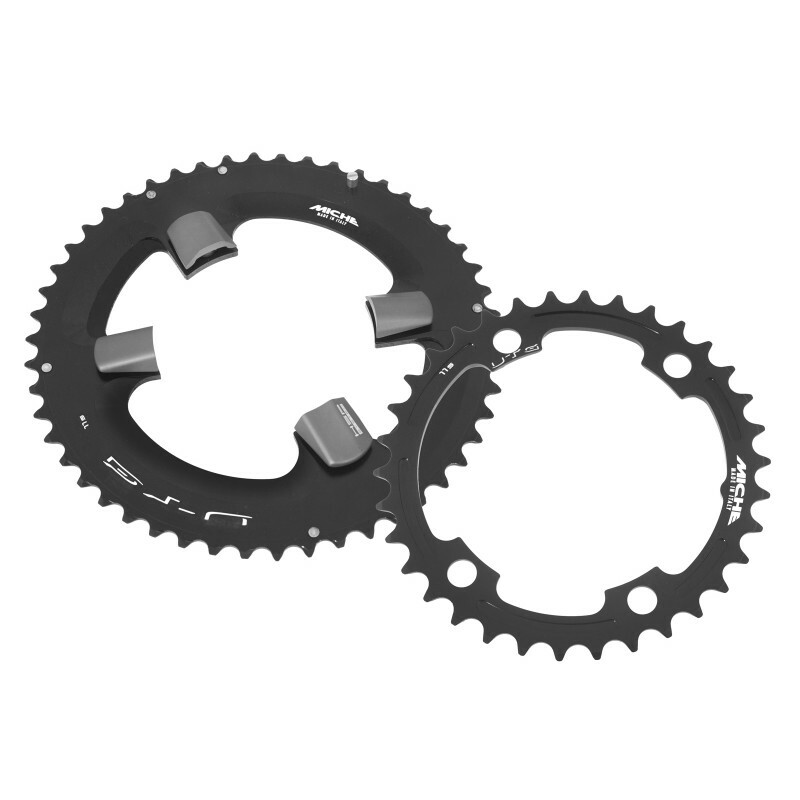 Inner chainring weight: 34T - 39g, outer chainring weight: 50T - 173g. BCD: 4 arms. Compatibility: Ultegra 6800. Material: AL 7075-T6 Total Treatment anodized - bolts anthracite anodized.